Finally, Daly approached the most delicate subject, one even more frightening than terrorism since it was well within the realm of possibility. "Look, there are twelve of you, and you're all All-Starts and future Hall of Famers," Daily said, "and there is no way I can get all of you the minutes you're used to having on --"
"That isn't going to be a problem," Jordan said. "We're here to win, and nobody is going to care about playing time Chuck," said Magic. Focus corrective interactions on the things students should do right now to succeed from this point forward. Don't attribute to ill intention what could be the result of distraction, lack of practice, or genuine misunderstanding. Allow students the opportunity to strive towards your expectations in anonymity as long as they are making a good faith effort. Begin by correcting them without using their names, when possible. Great teachers conjure momentum by normalizing the positive. They draw attention to the good and the "getting better." Narrating your weakness only makes your weakness seem normal. Kids love to be challenged. They love to prove they can do things. They love to compete. They love to win. So challenge them; exhort them to prove what they can do; build competition into the day. Talk about who your students are becoming and where they're going. Frame praise in those terms. When your class looks great, tell them they look "college," tell them they look like "scholars," tell them you feel like you're sitting in the room with future presidents and doctors and artists. Columnist Ann Landers wrote, "Rose-colored glasses are never made in bifocals. 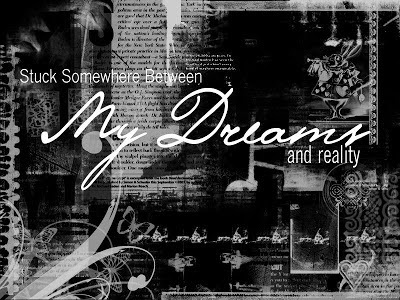 Nobody wants to read the small print in dreams." 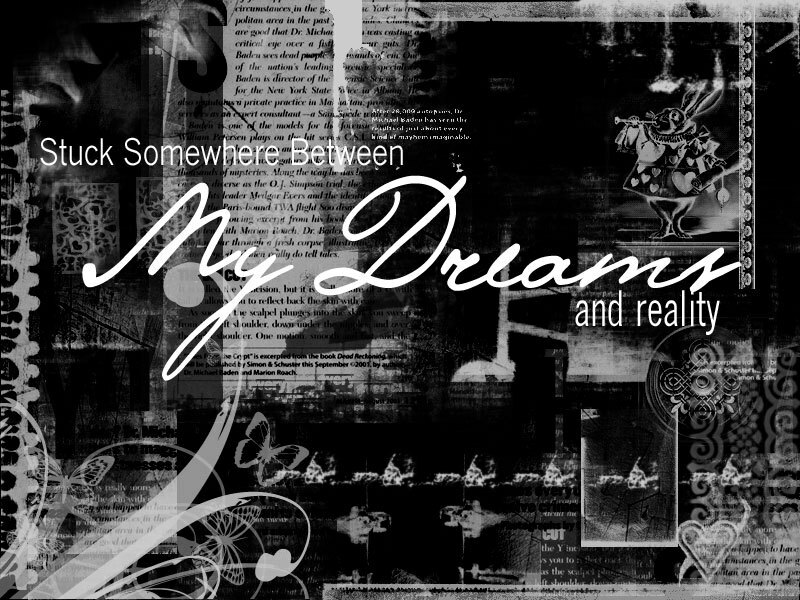 What is the fine print when it comes to your dreams? The fine print is reality. If you want to achieve you dream, you need to read the proverbial fine print. When you do, here are a few of the things you will find. 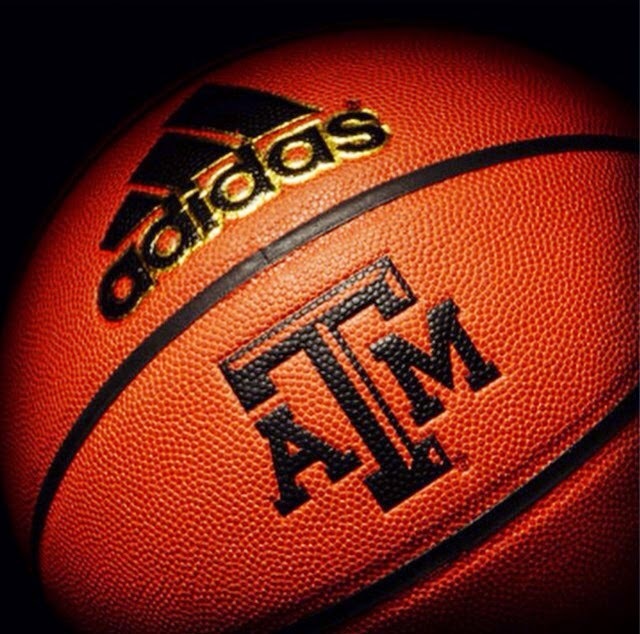 Yesterday was of course Sunday and meant another key Southeastern Conference game for our Aggies. But Coach Gary Blair also recognizes the important of our student-athletes overall well-being including our spiritual needs so before our Shoot Around yesterday morning, he asked Texas A&M FCA head (former Aggie football player) Bill Johnson to come lead our team in a devotional. And his message resonated with me. He told the story of coming home to his house and seeing a big crack on the top of a wall in one of his rooms. He hired someone to come and repair the crack which they did. A few months later however, the crack reappeared. He informed the company and they again came out to address the problem. Still, within time the crack returned. Bill then reached out to a contractor to come look at the problem. 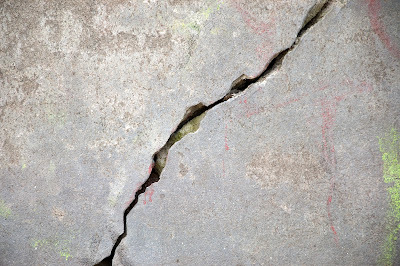 What the contractor informed Bill was that the crack was caused by a problem in the foundation. 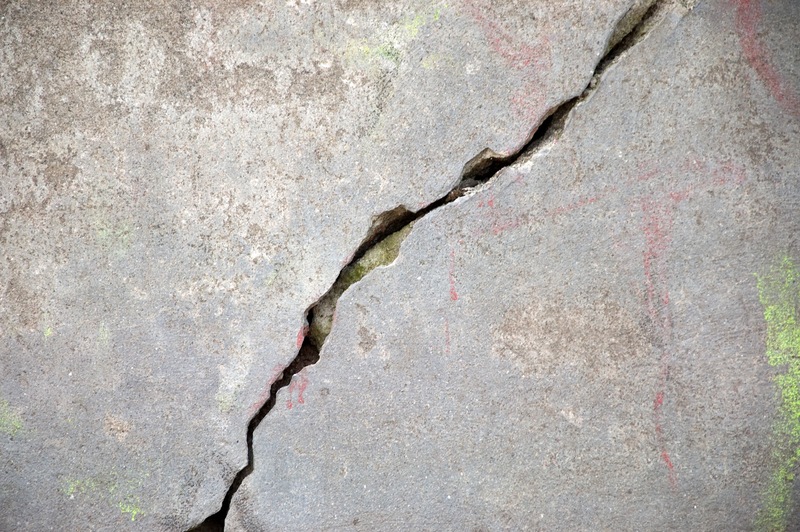 Until the foundation could be addressed, the crack would continue to return. All the structural successes (or lack thereof) within the house would come about because of how the foundation was built. If any of these "foundational" areas are not formed properly, you will be trying to repair cracks from time to time. The great ones are always curious, because they are always looking for an edge. At the root of their curiosity is the belief that one new idea, or one new twist on an old idea could launch to the next level. While average people tend to take things at face value, world class performers are curious to know how and why something works in an effort to make new distinctions that may benefit them. Champions have a childlike curiosity, and tend to approach the world with a mindset that says, "teach me." They approach their work with the mindset of a beginner -- eager to learn and open to new ideas. Champions are masters at learning from other people's experiences because they always asking questions. Their curiosity accelerates their growth through lessons learned vicariously. certain characteristics of the vigorous intellect." How important is it to practice mentally? If you are physically talented or you have the knowledge to execute on the job or if you think your parenting skills or your mechanical skills as an athlete are good, then why should you engage in mental practice? 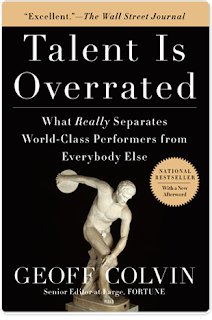 The answer is compelling: match two people with equal physical talents in a competitive encounter and the person who performs stronger mentally will win most of the time. Mental practice is an extremely valuable tool. It is used for two primary purposes. First, it enables you to view your competencies, to motivate you in executing, and that's the way it is commonly used. Mental practice is also useful as a learning tool. 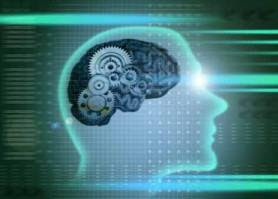 With this tool, you actually can learn a skill or you can learn sales techniques or many other things Basically, if you can see what you want to do in your mind, then you can execute it mentally practicing until you "package" the skill. 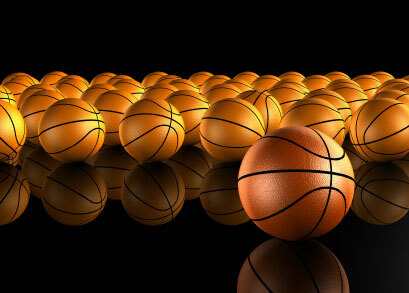 Here are some older post from our blog for athletes, Hoop Boost. This was a 3-part series on Michael Jordan on how much he hated to lose. These are great reads for your players. A "couple of minutes" late is...late. Arriving early for a meeting is not a sign that you are "anxious." It is a sign that you are...PUNCTUAL. You are there to "get the job done" -- not just merely to "do your best." 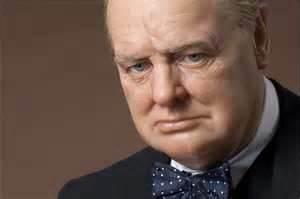 I recall the shock of recognition, many years later, when I tripped over a Churchill note that went like this: "It is not enough to do your best -- you must succeed in doing what is necessary." 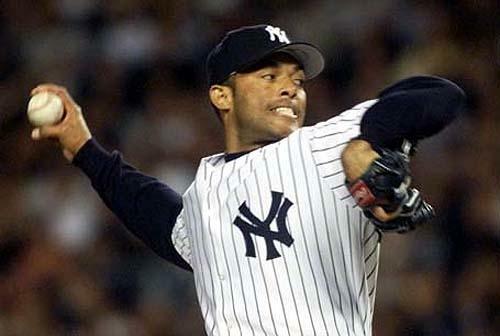 Game performances occur in the present, not in the past or future. 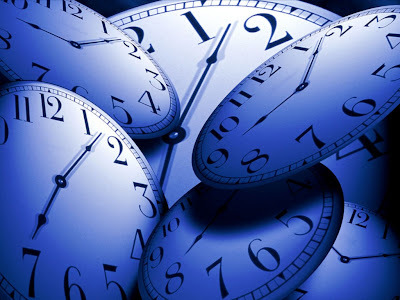 Although recalling positive memories of past performances and visualizing future ones can be useful, the best state of mind to be in is in the present. George Mumford, who also work with the L.A. Lakers when Phil Jackson was coach, currently works with sports teams at Boston College. 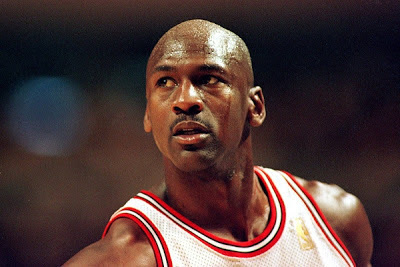 He still remembers his best student on the Bulls, none other than Michael Jordan "Michael made no distinction between practice and a game in terms of the effort he puts in," Mumford recalled. "He was the first one running sprints and doing all the other drills. He didn't have to prove anything, and yet he was always pushing himself. Not in an abusive way, but because he was truly in the moment and enjoying what he was doing." Before, during and after practice and competition, constantly remind yourself, "Right here is the best place, and right now is the only time." "Don't coach and teach too much about where you want to be," Coach Wooden said. 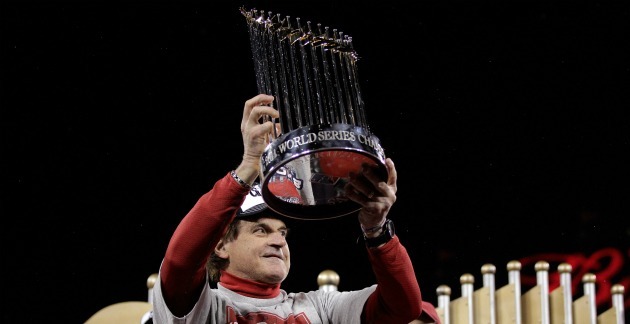 "Coach and teach where you are as a team right now, and what you want to do right now in order to player your best." The rest of "A Season with Majerus"
The following comes from "Finding the Winning Edge" by Bill Walsh. It is certainly in my top 5 of most valuable books and coaching resources. This passage is the advice Coach Walsh gives for dealing with stress. My comments are gold. Some individuals can be motivated by a certain amount of stress. This has certainly been true for me. An amount of stress pushes me to focus on the priorities and details needed at the time. The most crucial step in handling stress is to keep in mind that your reaction to a situation (e.g., a dropped pass, a missed tackle, etc.) is often the primary cause of stress, not the situation itself. This is primarily true for coaches and players that lead -- point guards, quarterbacks, catchers. Keeping your composure allows you to think through the stress. Save your energy for dealing with the larger issues. 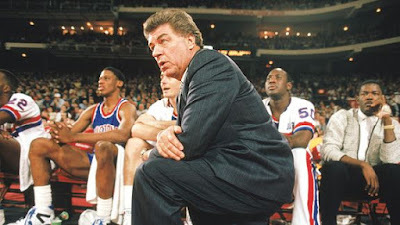 As Coach Don Meyer would say: "The main thing is to keep the main thing the main thing." Close your eyes and visualize yourself in a more positive, serene setting (e.g., celebrating a victory, being congratulated on a job well done, etc.). You must have a method that allows you focus on the goal in a concentrated manner. When you're feeling overwhelmed (i.e., a defender is continually bull rushing over your), some steps are more important than others. Mentally make a list of things you need to do (e.g., move your feet, get into a proper position, keep your hands and arms up, etc.) and then perform the tasks as necessary. This above all is important. It goes back to what Walsh believes in to his core -- process over result. Missing the tackling is the result. Your feet, positioning, hands and arms -- they are part of the process. Lock in on executing the process and the result will take care of themselves. What causes you the most worry and concern? Once you know the causes, you'll be in a position to decide whether or not you can change them. It's just like a doctor. You must examine the patient, find the cause of illness and pain and then it's location before you can cure it. Some people say that career success is most important to them, and then they go home and watch television several hours per day. Some people say their families are important to them, and then they go out socializing playing golf. 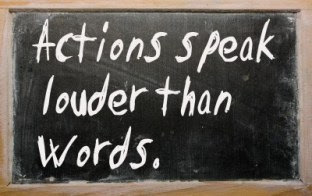 Only your actions tell -- and others -- what you truly value. The essence of time management is for you to discipline yourself to set clear priorities -- and then stick to those priorities. You must consciously and deliberately select the most valuable and important thing that you could be doing at any given time, and then discipline yourself to work solely on that task. This is obviously a great core principle for living your life. It also a great core principle for how you coach your team. Do you tell the media "Basketball is a game of fundamentals" and then fail to make the time at practice on daily basis to break down and teach fundamentals? Do you tell your boosters "Defense wins championships" but not play a great defensive player because he/she can't shoot? Do you tell your players that you care more about them as people and students than you do as a player but then fail to discipline a player is cutting classes because you need them to win a game? Only you can decide what the core beliefs and principles are in your program. But you should take great time in deciding and than, as Tracy mentioned above, remember that it will be your actions -- not your words that will convince those involved with your program. Choosing your words is very important -- choosing your values is much more importantly. Incorporating the two together is what helps you build credibility which leads to trust. The following comes from "A Collection of Thoughts on Life" by Dale Brown. I believe in this philosophy because I worked for Coach Brown for over a decade and saw him live this very philosophy each and every day. So much of life comes from our views and beliefs and I can't imagine living life to its fullest without a positive attitude. The best part of our attitude is that we decide what type of attitude we want to display. This is so difficult for many to believe, but if you have a bad attitude, it is because you choose to have one. People are not born with positive mental attitudes. Somewhere down the road, at some point in your life, for whatever reason it may have been, they choose to look at the positive side of all the circumstances surrounding their life. That doesn't mean they don't have a bad day or that they never get angry or depressed. Those are all human emotions that each and every one of us must deal with the negative in a much different manner than if you have a poor attitude. A poor attitude will throw gas on the fire of negative happenings. A good attitude will throw water on that same fire and put it out. Something to remember in cultivating a positive attitude is to always be full of enthusiasm. Enthusiasm and positive attitudes feed off each other. If you are enthusiastic, you will look at things in a positive light. If you have a positive attitude, you will find enthusiasm much quicker. I don't think I have ever met a person with a positive attitude that wasn't beaming full of overwhelming enthusiasm. These kind of people are contagious. They spread this exciting feeling to those around them and soon there is an epidemic started. A positive epidemic! Here some more "process-oriented" thinking to share with your team. We are heading into a game with Mississippi State on Thursday night and their head coach was a long-time assistant coach here for the Aggies. We want to make sure that we "remove all clutter" during our preparation and focus on being consistent and relentless in our execution. We actually gave the following to our team today as a passout. The athlete’s mind should be on doing all the things she always does to prepare and to perform — without changing any aspect of that mental routine. She doesn’t plan to “try harder,” because this game “really matters.” She doesn’t entertain a win-or-else approach. She stays balanced and focused on the task, as always. Consistently and relentlessly. That should be the goal for an athlete, and intrusive points of view — such as the “urgency” and special meaning of an upcoming event — are likely to be counterproductive. To prepare for this final sprint we went to each player or pitcher personally to remind him of what his keys to success were. For example, David Freese and Allen Craig both have an RBI mentality. Our coahces would review their success keys as a way to refocus them in their last stretch of first-half games and as a way to renew our confidence in them. 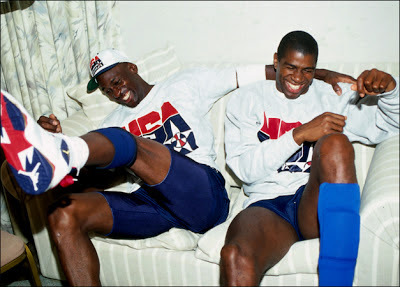 We did the same, usually informally, with players throughout the rest of the roster. We would also continue giving clear feedback like this about the process of success. It's a lot different than saying to a guy, "Hey, over the next two series I want you to drive in six runs." Focusing on a predetermined result like six runs doesn't take into account the many things that can come into play to negatively or positively affect a player's ability to reach that goal. In some ways, a predetermined goal with a set number, such as six runs, is arbitrary and distracting. We don't want distractions. We want focused effort on the process, i.e., how to do it. Our latest entry on our series "A Season With Majerus" includes post game notes after a game in late November. The real warriors take it to heart. "In the time I've been coaching, I've been luck to have so many good players. The great ones are the ones who grab you and say, 'Let's do this together,'" said Mike Krzyzewski. "We form a bond with those players. I feel like (Mason and I) have a had that since last spring. We had a good relationship. But there's a big difference between having a good relationship...a strong relationship and a bond." 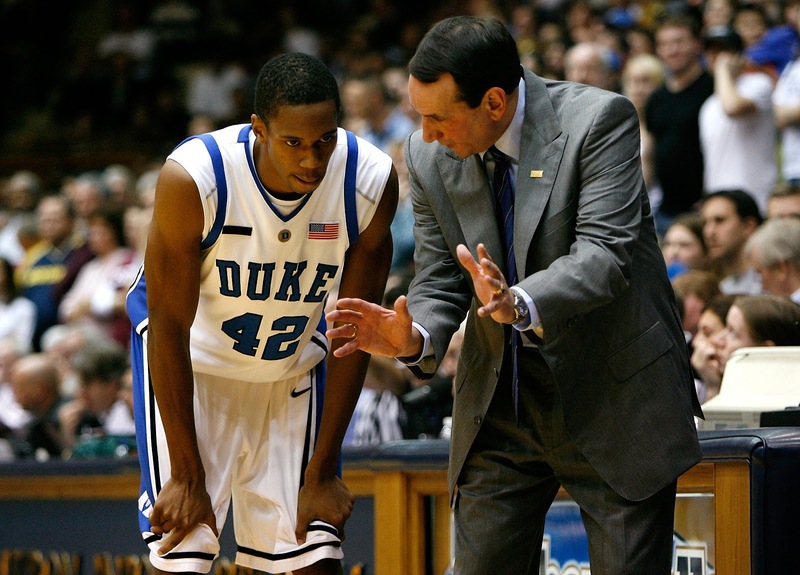 "Through coach's time here, the best players are going to get the most opportunities," said Duke assistant coach Steve Wojciechowski. Plumlee put in the time during the off-season -- on his post-up moves, on his already strong shoulders, on his free-throw shooting. Particularly on his free-throw shooting. Plumlee estimates that he attempted 2,000 free throws a week and as many as 800 on some days. When Plumlee was back home in Indiana, he'd make the two-hour trip to Chicago, where a friend's uncle let him crash at his home, and seek out competition where he could find it at Tim Grover's legendary Attack Athletics training facility or at Moody Bible Institute. "He on a mission on a day-to-day basis," Wojciechowski said. "He's an outstanding example of a guy who's determined to go out as an outstanding player and winner here at Duke. When that's the type of tone being set by your leaders, everybody else is better for it." The timing of this story is not perfect after the Atlanta Falcons lost yesterday in the playoffs but it is certainly worthy of reading. In fact, our trainer Mike "Radar" Ricke had the paper on our plane on the ride back from Georgia last night and knew that I'd like the article. 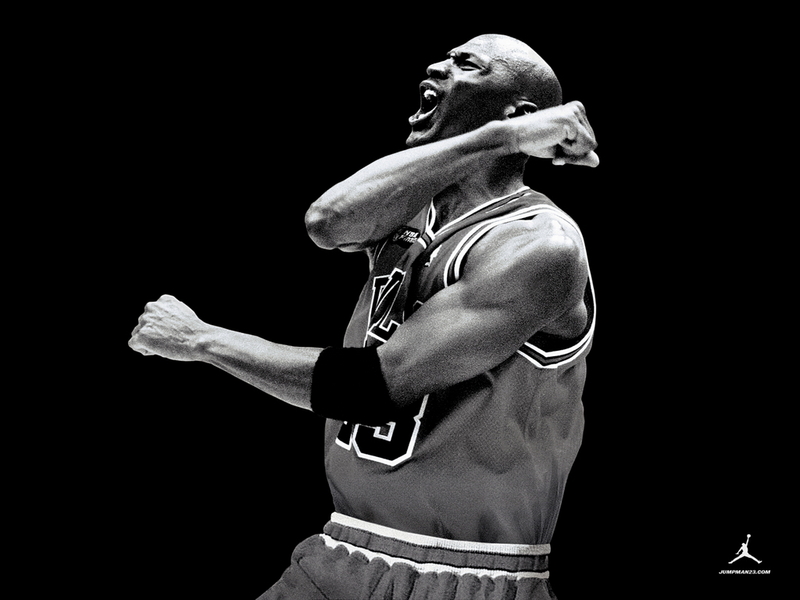 I think what is so important to players to understand is that greatness is never accidental and never just happens. It is a result of continual and intentional effort in so many areas of your life. 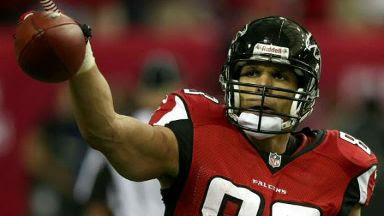 This article by Paul Newberry of the Associated Press speaks just to that in regard to Tony Gonzalez. These are just a few of the excerpts. You can read the entire article here. He’s given so much to the game, catching more passes than anyone in NFL history except Jerry Rice. He’s given so much to the Falcons over the last four years, working with younger players and setting an example that all were encouraged to follow. Gonzalez’s influence has surely rubbed off on players such as receiver Julio Jones, already a Pro Bowler in just his second season. Even Roddy White, who already was one of the NFL’s better receivers when Gonzalez was acquired by the Falcons after a dozen seasons in Kansas City, has picked up a thing or two since No. 88 arrived. He’ll encourage them to settle on some well-defined goals — say, catching 50 balls before practice, 50 balls during the workout, and 50 balls afterward. Whatever works, make it a habit. And keep looking for ways to make the program even better. Even at his age, Gonzalez still tweaks his regimen if he comes upon something new that might give him an edge. The 49ers (12-4-1) will have their hands full trying to defend everyone in what Gonzalez calls the PYP offense — Pick Your Poison. But the ageless tight end could be even more of a factor Sunday, facing a defense that doesn’t stray far from its base packages and relies heavily on its linebackers in coverage. As good as they are, Pro Bowlers Patrick Willis and Aldon Smith could have their hands full trying to cover Gonzalez, even if he has lost a step or two. For Gonzalez, the idea of working harder than anyone else was instilled at an early age, but the benefits of setting a routine became apparent in his second season with the Chiefs. Facing high expectations after moving into the starting lineup, he dropped 17 passes. He knew something had to change, so he started reading books on other great athletes, from Rice to Michael Jordan. His methods have sure paid off. Gonzalez has 1,242 receptions and 103 touchdown catches, sixth on the career list. This season, he led the Falcons with 93 receptions for 930 yards and eight touchdowns. Here is how the first meeting reads on Dunnuvant's book"
After Lombardi walked around the room handing out new playbooks and took up a position near the blackboard, chalk in hand, he said "We're going to take a giant step backward, gentlemen." The first milestone in the transformation was a dramatic simplification of the offense. As he asked the player to empty their sculls full of Scotter McLean's much, they noticed that the new playbook was less than half the size of the old one. The point was clear. They were going to do a few things and do them all well. In contrast to McLean's unnecessarily verbose working, which often left his quarterbacks overwhelmed, Lombardi introduced a new play calling terminology that boiled down to two digits: one number for the formation, another for the hole. The new system transferred the calling if blocking assignments from the quarterback to the offensive lineman and gave the quarterback much great latitude to react to the defense. "This was such a radical change," Starr said. "He threw out all the crap. And you're thinking: Man, does this make sense or what?" 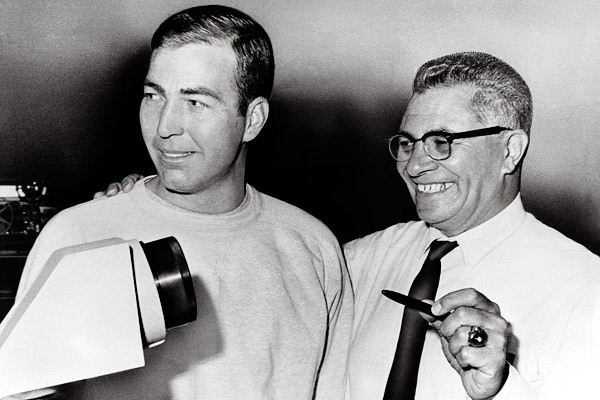 As he diagrammed several plays, Lombardi was able to manipulate the chalk without losing eye contact with his players, a little detail that impressed Starr. Then, in what amounted to a verbal mission statement, he clarified the purpose of his Green Bay Packers. "Gentlemen," he said, "we are going to relentlessly chase perfection...knowing full well that we won't catch it, because nobody is perfect..."
Starr was on the edge of his seat, soaking up the message like a sponge. "...but we're going to relentlessly chase it, because in the process, we will catch excellence." The words tumbled into Starr's mind as Lombardi paused and moved closer, close enough to see the fire in his eyes. Starr would always remember the pause, the perfectly timed theatricality of it, the way it heightened the sense of anticipation pervading the room. "I'm not remotely interest in being just good." When the took a break for lunch, Starr rushed downstairs to a pay phone and place a long-distance call to Cherry at their off-season home in Birmingham. "Honey," he said excitedly, "we're going to begin to win." Here is an absolutely wonderful video from John Maxwell on the importance of books and reading and how his parents motivated him to read. It's a cliche to say that every journey begins with the first step, yet it is still true. Talent-plus people don't wait for everything to be perfect to move forward. They don't wait for all the problems or obstacles to disappear. They don't wait until their fear subsides. They take initiative. 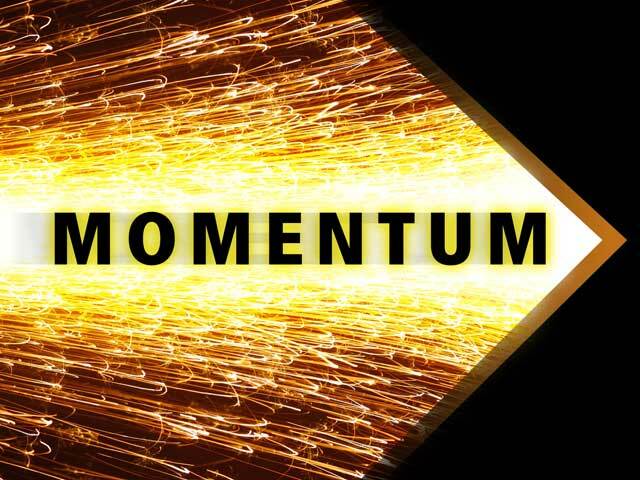 They know a secret that good leaders understand: momentum is their friend. As soon as they take that first step and start moving forward, things become a little easier. If the momentum gets strong enough, many of the problems take care of themselves and talent can take over. But it starts only after you've taken those first steps. I believe that my work is as much about words as it is about basketball. Choosing the right words is no less important to the outcome of a game than choosing the right players and strategies for the court." 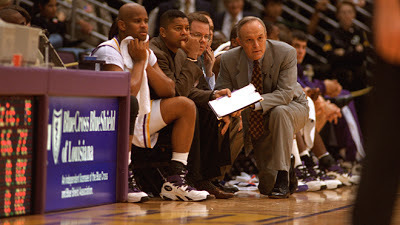 He discuses the importance of motivating his players through "vivid stories" to help them believe in themselves. Coach K frequently draws on the experiences of friends, family,and former team members who showed willpower, dependability, and courage. 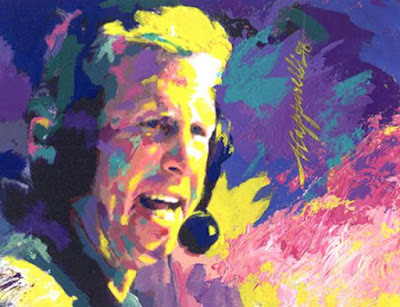 These stories are invaluable in helping to connect with inspire his players. "When an audience makes these associations," Krzyzewski continues, "we have found common ground. We are no longer merely exchanging words; we are being mutually motivated by their meaning." Words can be teaching tools, and they can inspire. They allow you to teach new things during practice and draw on them for your team during the game with low transaction costs. A shared vocabulary wins games, inspires teachers, steals bases, and brings people together. It keeps the benefits of practice alive, long after the practice is over. "If you want to be trusted, be trustworthy." "To retain the trust of those who are present, be loyal those who are absent." 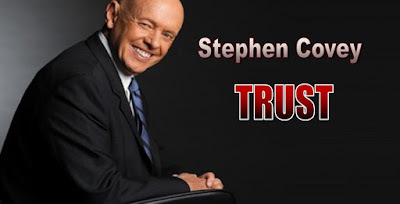 "People instinctively trust those whose personality is founded upon correct principles." "Trust is the highest form of human motivation." "Trust it the glue of life. It's the most essential ingredient in effective communication. It's the foundational principle that holds all relationships together." "We all know what a financial bank account is. We make deposits into it and build up reserve from which we can make withdrawals when we need to. An Emotional Bank Account is a metaphor that describes the amount of trust that's been built up in a relationship. It's the feeling of safeness you have with another human being. If I make deposits into an Emotional Bank Account with you through courtesy, kindness, honesty, and keeping my commitments to you, I build up reserve." While the best methods of development are constantly changing, they’re always built around a central principle: They’re meant to stretch the individual beyond his or her current abilities. They may sound obvious, but most of us don’t do it in the activities e think of as practice. By contrast, deliberate practice requires that one identify certain sharply defined elements of performance that need to be improve, and then work intently on them. Choosing these aspects of performance is itself and important skill. Identifying the learning zone, which is not simple, and then forcing oneself to stay continually in it as it changes, which is even harder – these are the first and most important characteristics of deliberate practice. It can be repeated a lot. High repetition is the most important difference between deliberate practice of a task and performing the task for real, when it counts. Tiger Woods may face that buried lie in the sand only two or three times in a season, and if those were his only opportunities to work on hitting that shot, he certainly wouldn’t be able to hit it very well. Repeating a specific activity over and over is what most of us mean by practice, yet for most of us it isn’t especially effective. After all, I was repeating something – hitting golf ball – on the driving range. Two points distinguished deliberate practice from what most of us actually do. One is the choice of a properly demanding activity in the learning zone, as discussed. The other is the amount of repetition. Top performers repeat their practice activities to stultifying extent. Ted Williams, baseball’s greatest hitter, would practice hitting until his hands bled. Pete Maravich, whose college basketball records still stand after more than thirty years, would go to the gym when it opened in the morning and shoot baskets until it closed at night. More generally, the most effective deliberate practice activities are those that can be repeated at high volume. Feedback on results is continuously available. Steve Kerr, former chief learning officer of Goldman Sachs and a highly respected researcher on leadership development, says that practicing without feedback is like bowling through a curtain that hangs down to knee level. You can work on technique all you like, but if you can’t se the effects, two things will happen: You won’t get any better, and you’ll stop caring. Getting feedback on most practice activities is easy. Lift the curtain and a bowler knows immediately how he did; in sports generally, seeing the results of practice is no problem. It’s highly demanding mentally. Deliberate practice is above all an effort of focus and concentration. This is what makes it “deliberate,” as distinct from the mindless playing of scales or hitting of tennis balls that most people engage in. Continually seeking exactly those elements of performance that are unsatisfactory and then trying one’s hardest to make them better places enormous strains on anyone’s mental abilities. It isn’t much fun. This follows inescapably from the other characteristics of deliberate practice, which could be described as a recipe for not having fun. Doing things we know how to do well is enjoyable, and that’s exactly the opposite of what deliberate practice demands. Instead of doing what we’re good at, we insistently seek out what we’re not good at. Then we identify the painful, difficult activities that will make us better and do those things over and over. After each repetition, we force ourselves to see – or get others to tell us – exactly what sill isn’t right so we can repeat the most painful and difficult parts of what we’ve just done. We continue that process until we’re mentally exhausted. If it seems a bit depressing that the most important thing you can do to improve performance is no fun, take consolation in this fact; It must be so. If the activities that lead to greatness were easy and fun, then everyone would do them and they would not distinguish the best from the rest. The reality that deliberate practice is hard and even been seen as good news. It means that most people won’t do it. So your willingness to do it will distinguish you all the more. We want our players to feel that they are prepared and confident, but not overloaded with information. Our coaches have basically a book on each opponent, so that we know EVERYTHING they do. 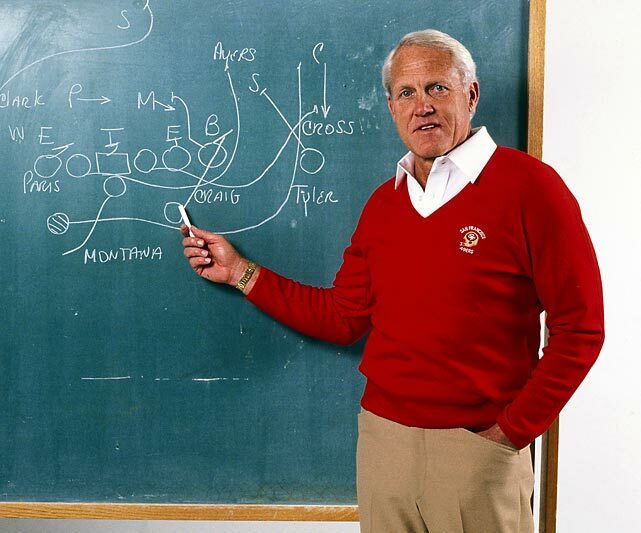 The philosophy that we believe in is very similar to what Bill Belichick of the New England Patriots has: “I don’t tell our players everything that I know, rather I tell them what they need to know to WIN the game.” Chuck also liked Coach Wooden’s approach of focusing on your own teams preparation, not your opponents. 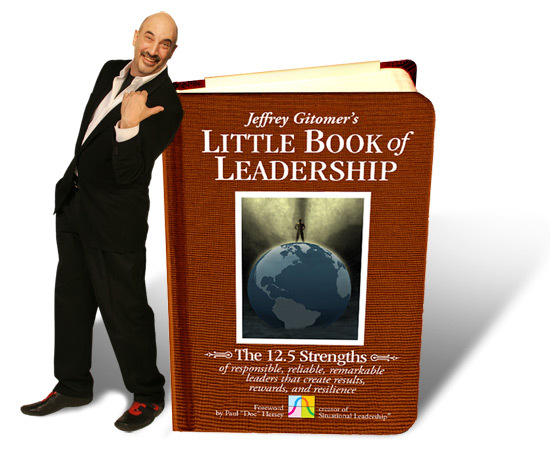 Another from Jeffery Gitomer -- as I am reading his "The Little Book of Leadership." It is an absolutely great read -- he does a great job or organizing his thoughts on the subject of leadership. It's been an important book for me to read and I think it would make for a great book for your captains as well. Attitude is at the core of success -- yours first! 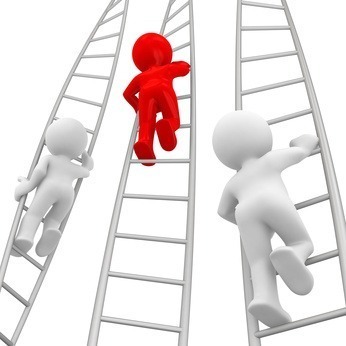 If your a leader that's looking to succeed and leave a legacy of achievement and accolade, then you may want to start higher than your goals and aspirations to uncover the way to make those aspirations a reality. When you get to your place of work, how do you feel? When you greet members of your team, what is your tone? When you conduct a meeting, what is your tone? 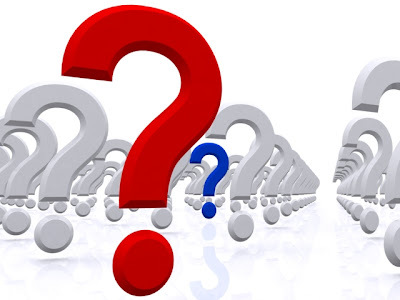 ◄How are my people affected by my feelings and tones? ◄How do my feelings and expressions affect my team’s attitude? ◄How does my attitude impact their responses to me, to each other, and to outside people? ◄And finally, how does my attitude, my mood, and my tone affect their performances. KEY POINT OF UNDERSTANDING: You set the tone for your people to follow. If they’re not happy, first look at yourself. Your people need to see your enthusiasm to become enthusiastic. Yourj people need to see your hard work to maximize their hard work. 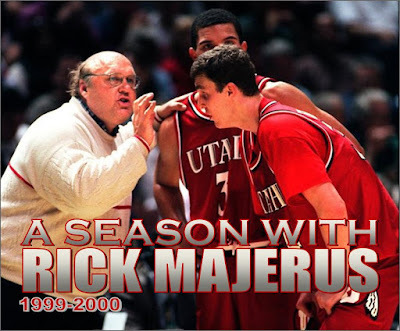 Our latest entry from A Season With Majerus looks at practice on Sunday morning, November 11, 1999. --Take away low cut...with body on down screener on shooter...up middle on all others. About a week ago, I completed the book "One Word" by Jon Gordon, Dan Britton and Jimmy Page. It's not a difficult read. In fact, the book was written so that it's 71 pages can be read in 45 minutes or less. 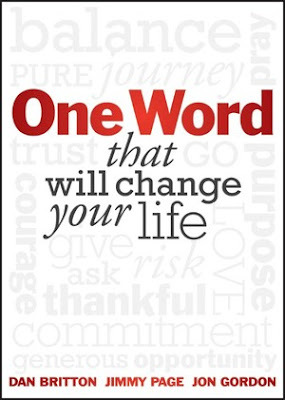 But the message and process is powerful -- "One Word That Will Change Your Life." The book takes you in detail thought three-step process to help you in your journey to discover your own personal word that will transform you. Prepare Your Heart -- This is where you take action to strategically disengage from the hectic pace of life and look inside. Discover Your Word -- This step helps you ask simple questions to find your word. Live Your Word -- This is the fun part. We help you experience your word and apply it to every area of your life. Reading the book has you thoroughly go through the process. After reading the book they suggest you take some time to do some soul searching which I did. And my word? I have let the grind of coaching serve as an excuse to get get away from the disciplines of my life that I need to be successful. This would include my health (diet and exercise), my family, my personal growth and practically all facets of my life. It sounds like a big word but it is really about me giving thought to the details and then executing them within my life. Another guideline of the book is to share your word with others. It serves as a commitment when you tell others. You also incorporate those close to you to serve as supporters of your mission. I thought blogging about my word would be a great way to put it out there -- I need help keeping my "word" in front of me. There are methods of doing this but you'd be better serve purchase the book for the detailed approach! In his book, "The 15 Invaluable Laws of Growth" John Maxwell talks about failing how it is important to the process of success. After all, there needs to be mistakes along the way in order for us to discover what we need to do and become to be successful. As Maxwell states, "Everything looks like a failure in the middle." "You can't bake a cake without getting the kitchen messy. Halfway through surgery it looks like there's been a murder in the operating room. If you send a rocket to the moon, about ninety percent of the time it's off course -- it 'fails' its way to the moon by continually making mistakes and correcting them." A basketball season is much the same way. For teams that struggle early but find their way to the NCAA tournament or win their conference tournament -- there's a reason. The high school team that is .500 much of the year only to go on a long run and advance deep into their state tournament -- there's a story. Those our teams who didn't let failure and losses be failure and losses. They utilized them to learn more about themselves and what they needed to do to improve. If you are coaching or playing on a team that is not playing to their potential, it is not time to pout or complain or make excuses. It's time to take a look at how to improve and advance. No one would argue the notion that you need to plan out your practices. Coaches, managers, organizational development teams all plan for the time they have to develop their staff. As we have learned from our work at Uncommon over the past several years, chances are that what you are doing now probably isn't nearly good enough, if you want exceptional results from your practice sessions. Coaches and leaders often fail to recognize that planning practice must be a data-driven endeavor. 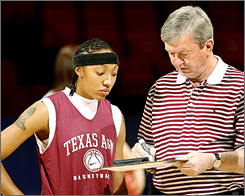 What is more, the best coaches constantly adapt their practice in response to what they learn about the needs of their team from on-the-job performance and from the results of practice itself. As people succeed at tasks, you add complexity; as they struggle, you reduce it. Good plans for practice leave nothing to chance. There is no question of which drill will be inserted where, or who will get a chance to practice which skills. There is no mid-practice poll of what favorite drill to do next, no free time earned for efficiency in completing activities. Plans that lead to successful practice account for each minute with useful activity. The best motivating coaches I've observed are great story tellers. And often, the utilize examples of other athletes or successful people in other walks of life to try and create and attachment in which to build from. The following comes from David Brown at Yahoo! Sports with an example of Nick Saban and what he utilized before the national championship game. "We just watched a video of Mariano Rivera, and he talked about when he struggled at some time in his career because he was trying to be a perfectionist. And that when he's in the bullpen, he sees the crowd, he hears the crowd ... but when he runs out and they hand him the ball, he's got one focus; he's not worried about the crowd, he's not worried about any of the external factors. One focus: Three outs. 'How am I going to get three outs?' I think a team's ability to do that, to stay focused on the things that are going to affect the outcome of the game, are critical in games like this." Manning wrote the notes at some point between summer school of his freshman year and the time practice started. "What I learned very quickly," said David Cutcliffe, now the head coach at Duke, "was the amount of time he was willing to put in. He wanted such detail. I just walked out of the room and grinned." Nearly 20 years after Manning looked at those cut-ups of "62 Meyer" and other plays from the Tennessee game tapes, he's still up there with the best when it comes to preparing. It could be for the upcoming game, season, or, in the most recent instance, for a comeback from what many thought was a career-ending neck injury. His work ethic is the gold standard when it comes to breaking down an NFL opponent. And though he's had to adjust his schedule, accommodating for the physical changes he's encountered after his neck surgeries, the Broncos quarterback hasn't shown any signs of letting his preparation slip. "I always felt like doing that work was something that could make me better," Manning said of the study time he spent before college, before his coaches could even come in and help decipher those Xs and Os. "Even if I didn't really know what I was looking at, sometimes if you just think it's helping you, then it's helping you." This year, the preparation helped to the tune of 4,659 yards, 37 touchdowns and a passer rating of 105.9, all the second-best marks he's had in 14 NFL seasons he's played. The Broncos finished 13-3. Heading into their playoff bye week, they were the odds-on favorite to win the Super Bowl. "I think a lot of people now are doing things he's been used to doing for a long time," said John Elway, the quarterback-turned front office executive for the Broncos. "He does such a good job. His preparation and the way he goes through it helps him have such a good idea of where the ball is going before it's even snapped." Earlier this year, coach John Fox said Manning "has it down to a science when it comes to time management," recalling instances when he's seen the quarterback soaking in the ice tub while watching video of an upcoming opponent on his iPad. The time-management element has become even more important this year, with Manning playing with what is, essentially, a new body after missing a season while his neck healed. Manning says he often refers back to something Bill Polian, the longtime president of the Colts, told him when he came into the league.